Changing the configuration of a room by adding walls can quickly become an expensive remodeling project. When you have a room that you want to segment into different areas, a curtain wall provides an inexpensive solution. Use the curtain walls for privacy in a shared bedroom, create new "rooms" in a large open area such as a basement or cover an unattractive traditional wall. Use thick curtains to block light between rooms. Select curtains of an appropriate length, based on the measurement from floor to ceiling in the area where you're installing the curtain wall. Measure the length of the area you want the curtain wall to span. You may need to purchase several sets, depending on the size. Avoid tab-top curtains if you want complete blockage from one area to the other. Attach two eyehooks across the room from each other along the length where the curtain wall will span. Use a drill with an appropriately sized bit to create a starter hole for easier eyehook installation. Ensure even placement across the room by using a laser level to mark the spot directly across from the first eyehook. Use wire cutters to cut a piece of high-tension curtain wire in the length of the area with the addition of 8 inches. Install the curtain wire through one eyehook by sticking it through and folding over 4 inches of wire. Attach the two sections by several wire rope clips. Repeat the process of folding and securing on the opposite end, pulling it to create tension. Hang the curtains to complete the wall by placing curtain clips onto the wire and clipping the curtains into place. 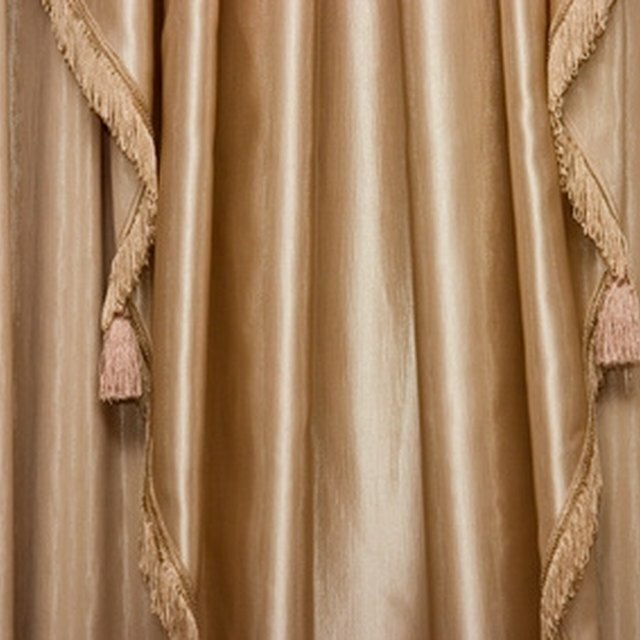 Expand the curtains until they go from one wall to the other, forming a new barrier in the room. Choose fabrics that go well with the decor of the room.